"...the 'proof' of man's destruction of the environment isconsistently flawed.... the scientific method is being abused andignored. The errors are not random, however, but are systematicallybiased toward attempting to prove the guilt of man in the allegeddestruction of the planet. Objective science is disappearing and isbeing replaced by the pursuit of a philosophical agenda." "The public has numerous misconceptions about the relationshipbetween environmental pollution and human cancer. Underlying thesemisconceptions is an erroneous belief that nature is benign." "Greenhouse gases have been increasing in the atmosphere,largely as a result of human activities. However, the climaterecord does not show the temperature increase and other telltalesigns of the expected greenhouse effect. The mathematical modelsused for predicting such effects are evidently not complete enoughto encompass all of the relevant physical processes in theatmosphere, thus throwing grave doubt on the drastic warminghypothesized for the next century." "...There is now no prima-facie case for any expensive policy ofsafeguarding species without more extensive analysis than has sofar been done." JAY H. LEHR, Ph.D., is former director of the Association of Ground Water Scientists and Engineers, Professor of Hydrogeology at the Ohio State University and author of more than 300 technical papers and 10 textbooks on environmental science. 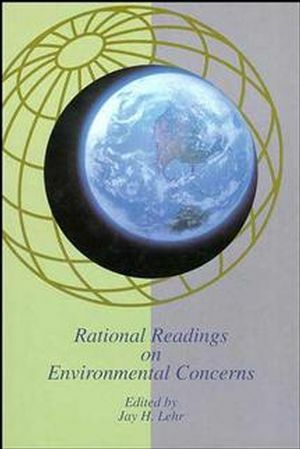 Environmentalism: What's Real, What's Not.